Supporters of Kenyan presidential candidate Uhuru Kenyatta celebrate what they perceive is an election win for him in Kikuyu, just outside of Nairobi, Kenya. 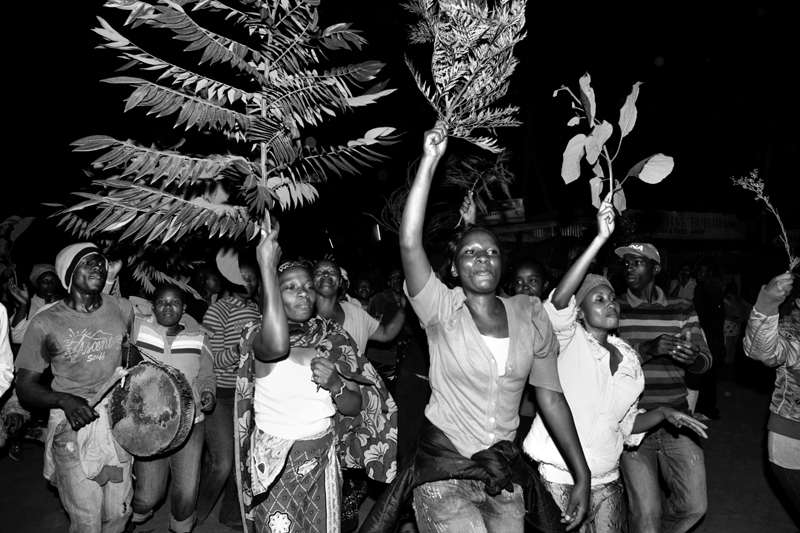 Kenyan's sang songs, chanted and paraded the street with branches in the early hours of Saturday morning. Official presidential results were announced the same day at 3pm.